Wine-flavored jalapeño chocolate granola? Sign yourself up for the customized snack of your dreams. Granola is the perfect snack. It's versatile, crunchy, works great on its own or thrown into some yogurt, or as a component of trail mix, sweet or salty — I'm a granola stan. And I assume you're here because you, too, are a granola stan. First off, congrats on having superb taste — literally. 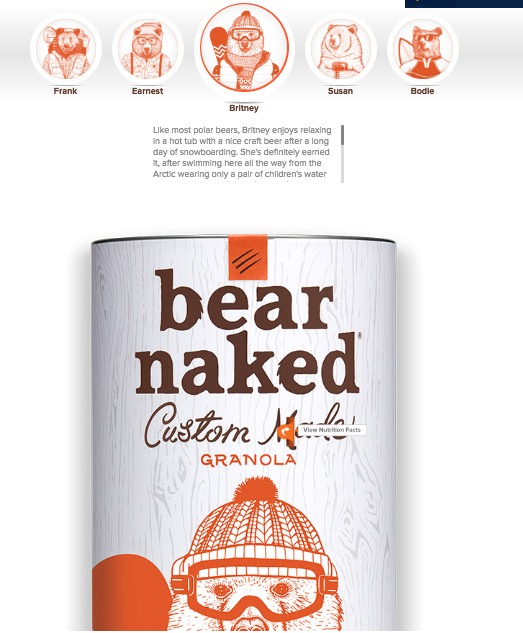 Second, I need to tell you about this awesome DIY granola that Walmart just launched with Bear Naked, a brand that is well-known for their incredible granola. The process starts with picking your granola base. There are three mouthwatering options to choose from — cacao + cashew butter, chocolate, and honey. Here is where the fun happens. You get to choose up to three delish toppings to throw in your granola, and there are more than 50 available!! You can pick classic items like banana chips or walnuts, or dare to get options like sweet bacon sprinkles (which happen to be vegetarian), and red or white wine (which, do not contain alcohol). But wait, you're still not done! You get to customize the canister for your small-batch granola. 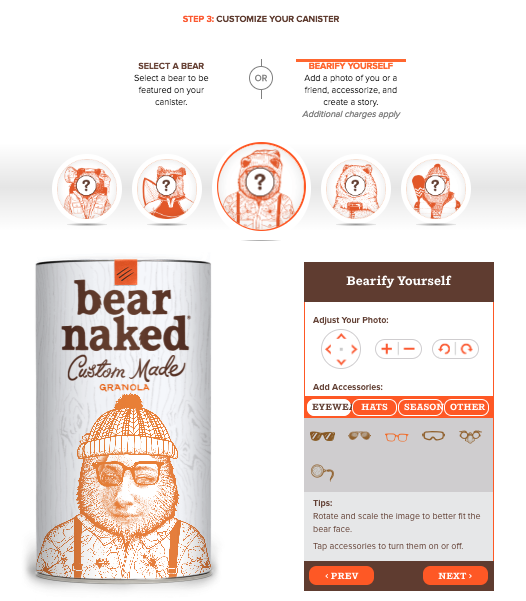 Pick between five adorable bears (all of whom have very vibrant personality descriptions), or upload your own photo and bear-ify yourself! Last, but most certainly not least, come up with a name for your unique blend. Feel free to keep it simple or get as creative as you'd like. The name will appear on your bag of granola inside of the canister. So just to recap — delicious granola bases, tons of toppings, a personalized canister, and even a personalized granola bag? Will I ever buy granola at the grocery store again? Nope, this is way more fun. Not to mention it makes the perfect holiday gift. Yes he is, and he's bringing granola. To get started on creating a yummy personalized granola blend for you or a loved one, head on over to Walmart and make one for $12.99 for a standard canister or $14.99 for a customized canister.